oil gets to the top through the engine studs. go to partzilla, have a look at the cylinder fich, and head fich, then you can see where everything fits/goes together :-). has this ever been sunk ?. any rtv sealant ever been used in place of hondabond or yamhabond ?, if so ?, then my guess is the rtv sealant has clogged up the oil passages in the cylinder, head, oil pump. I have looked at those diagrams and believe I have everything right. I`ll go thru it again and check the pump. Will I have to pull the studs to see if it is plugged? Is there one specific stud that transfers oil or ? the stud that has the oil ring on it, is where your oil comes up. no you do not have to remove the studs. I just take my air compressor, and blow air down each stud to check to see if they are clear ?. 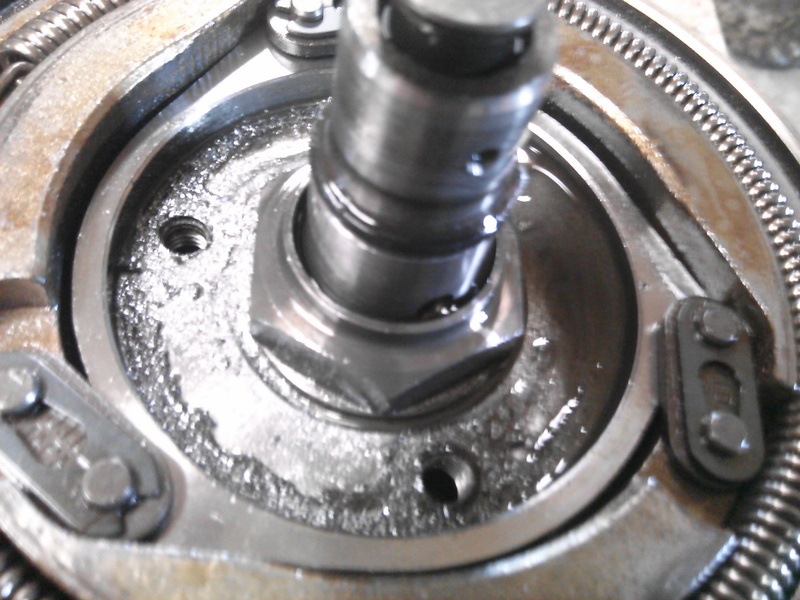 anywhere there is an o-ring on the top end ?, thats where oil flows. the head, at the cam end, see those tiny holes resting down in the journal ?, thats where oil comes out of, check to see if they are clogged ?. 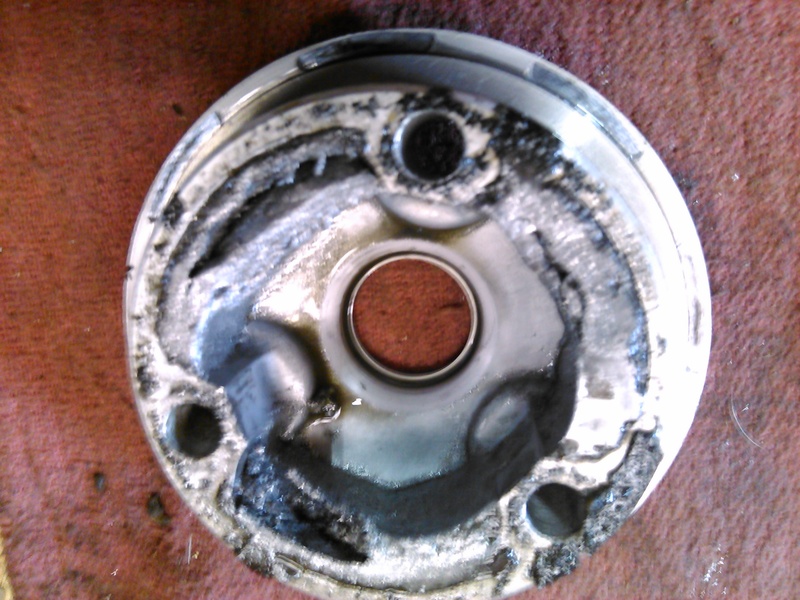 chances are, its from your piston or top end. hard to say , seeing how I cant see what you see. have you seen the piston ?, seen the rocker box ?. that did not come from the clutch...lol. Just to catch up on this....I had used cork gasket on cylinder...cork plugged oil passage...cam seized up. Cleaned ports, replaced gasket, all good. Thanks again.